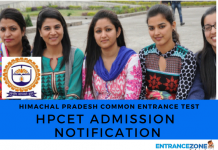 Arunachal Pradesh Polytechnic Admission 2019: For all engineering and technical aspirants who wish to pursue various science courses in colleges in Arunachal Pradesh. Arunachal Pradesh Joint Entrance Exam (APJEE) forms will be released in the first week of April 2019. The examination is conducted by ‘Arunachal Pradesh State Council for Technical Education’ (APSCTE) as under the Directorate of Higher and Technical Education. The aspirants residing in Arunachal Pradesh for a minimum period of three years. The aspirants who have appeared/passed Class X from any school in Arunachal Pradesh. The wards of NonAPST employees of the State Government, Central Government and the Central Public Sector Undertakings deployed within the state of Andhra Pradesh. The age limit for aspirants to be eligible for APJEE may vary from 15-18 years depending on the course they wish to opt for. The academic qualification of the aspirant who wishes the appear for APJEE to opt for various diploma courses should be minimum 33% for those who have passed class X or appeared for Class X examination from any school in Arunachal Pradesh or any equivalent government body. The online admission portal for the examination will be available on the official website www.apdhte.nic.in. All the candidates must make sure that they fulfil the required criteria the criteria for various technical and professional courses and can apply as per the schedule. Aspirants must ensure that accurate, relevant and correct data is submitted onto the website along scanned images of photographs and signature of the specified and appropriate size and quality. The details of the profile must be noted carefully for future reference. Find APJEE 2019 Application Form Details for Degree & Diploma Admission Here. 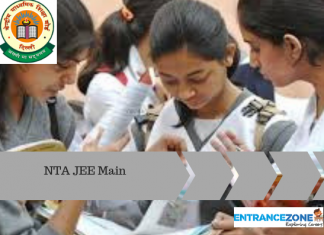 The candidates who successfully complete the process of application will be required to download the Admit Card from the official website as per the prescribed schedule. The Admit card will be a prerequisite for appearing for the examination. It will also be required during the process of admission to various institutes and counselling processes. The candidates must carry a hard copy of the Admit Card for each of the above-mentioned events. The medium for APJEE 2019 is English only. the paper will consist of multiple choice questions with 4 options each. Candidates will be awarded 4 marks for a correct response and 1 mark will be deducted for every wrong response. The paper will consist of 150 questions. The duration of the examination will be 2 hours. The questions in the case of Diploma courses will be from the fields of mathematics and science. 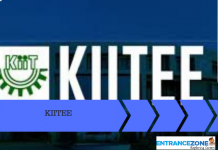 The results for APJEE 2019 will be declared on the official website www.apdhte.nic.in. The result will be uploaded in the form of a merit list which will consist of the score obtained by the candidate and their respective ranks. Merit lists will be prepared separately for Diploma courses. In the case of two or more candidates obtaining the same number of marks, they will be placed in the same ranks. No requests for re-examination/re-evaluation/re-checking shall be entertained. Allotment of seats will strictly be on the basis of merit list of APJEE and preferences shall only be considered on the basis of the availability of seats and their merits. apdhte diploma result 2018, www.apdhte.nic.in result 2018, apdhte result 2018, apdhte.nic.in 2018, www.apjee.in 2018, neet 2017 arunachal pradesh merit list, apjee result 2018.